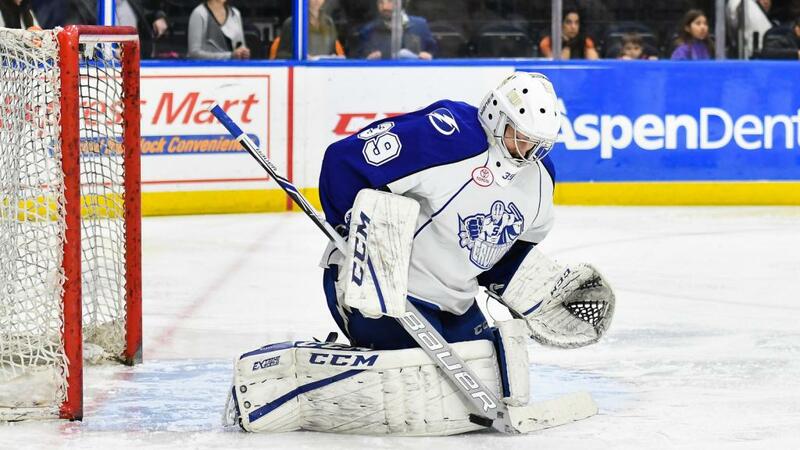 Prior to the 2018-19 season, the NHL’s Tampa Bay Lightning and the Syracuse Crunch announced a five-year affiliation extension, with an option for two additional years. This long-term extension ensures Tampa Bay&apos;s top prospects will develop their talents in Syracuse through the 2022-23 season, with a mutual option for 2023-24 and 2024-25. Since the start of the affiliation in 2012, 50 players have appeared with both the Crunch and the Bolts. The Crunch have a total of seven Calder Cup Playoffs series wins, including two Calder Cup Finals berths. Syracuse has qualified for the postseason in four of their six previous seasons affiliated with the Lightning after making the playoffs 10 times in their first 18 seasons. Of the organization’s three division championships, two of them came while affiliated with the Lightning. The teams have recently started their seventh year of the affiliation. In that time, the Crunch own a 232-154-41-30 record and have made four postseason appearances, including the team’s two most successful seasons to date with their first trip to the Calder Cup Finals in 2013 and again in 2017. The Syracuse Crunch have just begun their 25th year of operation in the 2018-19 season and boast the longest independent ownership group, led by Howard Dolgon. The Crunch have the fourth-longest current tenure of any American Hockey League team. The Lightning are the fourth primary NHL affiliate of the Crunch, who previously partnered with Vancouver (1994-00), Columbus (2000-10) and Anaheim (2010-12). Syracuse had a dual affiliation with Vancouver and Pittsburgh from 1997 to 1999. The Crunch have played their home games in the Onondaga County-owned War Memorial Arena since their inaugural season in 1994-95. The Lightning joined the NHL as an expansion franchise in 1992 and were crowned Stanley Cup Champions in 2004. They advanced to the Eastern Conference Final in 2011, 2016 and 2018 and to the Stanley Cup Final in 2015. From 2010 to 2018, the Lightning and their AHL affiliate had been run by vice president and general manager Steve Yzerman and assistant general manager Julien BriseBois. The Lightning recently named BriseBois as the seventh vice president, general manager and alternate governor in franchise history beginning with the 2018-19 season, with Yzerman stepping aside to serve as a senior advisor to the general manager. After opening the 2018-19 season on the road, the Crunch return to the War Memorial Arena on Saturday, Oct. 13 for the team’s 25th Home Opener presented by Upstate University Hospital. To get your tickets to see the Lightning prospects in Syracuse, log onto www.syracusecrunch.com or call 315-473-4444.